A leading critic of the military's missile defense testing program Professor Theodore Postol has accused the Pentagon of trying to silence him and intimidate his employer, the Massachusetts Institute of Technology, by investigating him for disseminating classified documents: M.I.T. Physicist Says Pentagon Is Trying to Silence Him, (by James Dao, The New York Times, July 27, 2001). See also previous publications on a conflict between Prof. Postol and Pentagon. Carnegie Moscow Center published a new report of Andrei Zobov Russian Security, Iran, and American Sanctions, - in Russian (Supplement to Nuclear Proliferation Journal. Issue #1, 2001). The author focuses on the issues of Russia's assistance to Iran's nuclear missile programs and the transfer of "sensitive" technologies, as well as the perspectives of development of Russian-American relations in the light of the Iranian factor and ways of surmounting disaccord in the question of nuclear missile potential of Iran. At the Russian START Forum: on Pavel Podvig's paper in Izvestia and other issues. U.S. National Security Adviser Condoleezza Rice arrived in Moscow on Wednesday to put arms control talks with Russia on a fast track, saying the two sides had broken the deadlock on missile defense. The United States does not intend to amend the Anti-Ballistic Missile Treaty to allow for the development of a missile defense system but will instead seek Russia's agreement for both countries to withdraw from the accord, administration officials said Tuesday. Russia's defense minister indicated the country was willing to consider changes to the Anti-Ballistic Missile Treaty, giving encouragement to Bush administration officials who told Congress they have made progress in the diplomatic sales job for a missile defense shield. At the Russian START Forum: U.S. motives to reject CTBT and other issues. Executive Summary of the recent our Center's report U.S.-Russian Relations in Nuclear Arms Reductions: Current State and Prospects, (Anatoli Diakov, ed.) is now available in English. 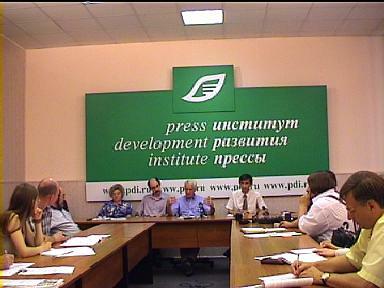 See also a transcript of the press conference (in Russian) held on July 3rd, 2001 at the National Press Development Institute. Russia and China signed a treaty on good neighborly friendship and cooperation yesterday. Both sides expressed importance of the ABM Treaty of 1972. American embassies have been warned that planned missile defence tests will come into conflict with the 1972 Anti-Ballistic Missile Treaty within "months, not years". The warning, in a 14-page memorandum, gives the first indication that the treaty may be violated much sooner than Western governments had been led to believe. Russian MFA expressed surprise concerning this issue. US radar in Vardo, Norway, not far from Russian space launch site Plestsk, violates the 1972 ABM Treaty, says Nezavisimaya Gazeta: US Monitors Russian Missiles Illegally, - in Russian, (by Dmitri Gornostayev, Nezavisimaya Gazeta, July 11, 2001). See also our special section: Vardo Radar: US Unfriendly Action or Violation of the ABM Treaty? - in Russian. Interview Granted by Alexander Yakovenko, the Official Spokesman of Russia's Ministry of Foreign Affairs, to the Russian News Agency RIA Novosti in Respect of the Comprehensive Nuclear Test Ban Treaty , July 13, 2001. At the Russian START Forum: on the reasons for US intention to renew nuclear tests, and other topics. Moving From Bipolar to Multipolar World. Russian Nuclear Forces In Modern Conditions, - in Russian, (by V.N. Mikhailov, Wek, July 6, 2001). The author is a Member of Russian Academy of Sciences, Scientific Adviser of the Russian Federal Nuclear Center in Sarov, Director of the Institute of Strategic Stability. After months of delay, the Pentagon said Friday it will attempt to shoot down a missile outside the Earth's atmosphere on July 14, the first missile defense test of its kind since a failed intercept one year ago. Testimony Before the House Armed Services Committee: Fiscal Year 2002 National Defense Authorization Budget Request, as given by Secretary of Defense Donald H. Rumsfeld, Chairman of the Joint Chiefs of Staff General Hugh Shelton, and Comptroller Dov Zakheim , Rayburn House Office Building, Washington, DC, Thursday, June 28, 2001. Proceedings of the international conference "Partnership for Peace: Creation of Long-term Cooperation on North-East Asia Security" held in Fudan University (Shanghai, China) have been published. Well-known arms control experts from US, China, Russia, Japan and South Korea took part in the meeting. At the Russian START Forum: START I limitations on movement of mobile missiles, and other topics.